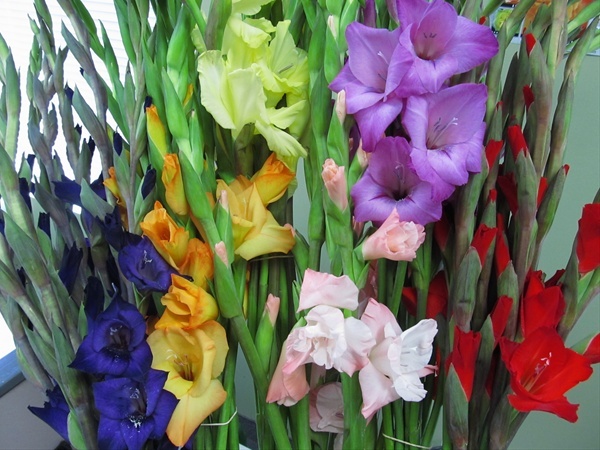 Many new exciting novelty varieties are now being commercialy grown in tones of lavenders, green, fucshia, smokes, and a wide range of 2 tone varieties. Pinching top 5 cm off tips helps glads open. Fancy Grade 115 cm minimum. Special Grade 100 to 115 cm . Standard Grade 90 to 100 cm. 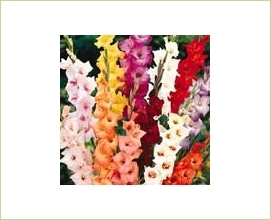 Should be shipped tight cut with only the bottom 2 or 3 blooms showing good colour. 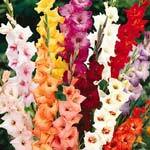 Glads should be free of any field burnt tips or yellow foliage. 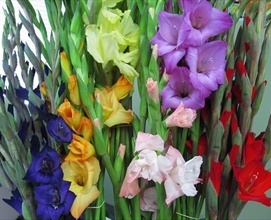 Gladiola are geotropic and must be shipped in upright hampers. Boxes destined for export must be clearly identified with quantity, colour mix and grade and this information should be marked on the TOP of the hampers so information can be read when boxes are palletized. A post harvest treatment of up to 20% sucrose is beneficial to bud opening.